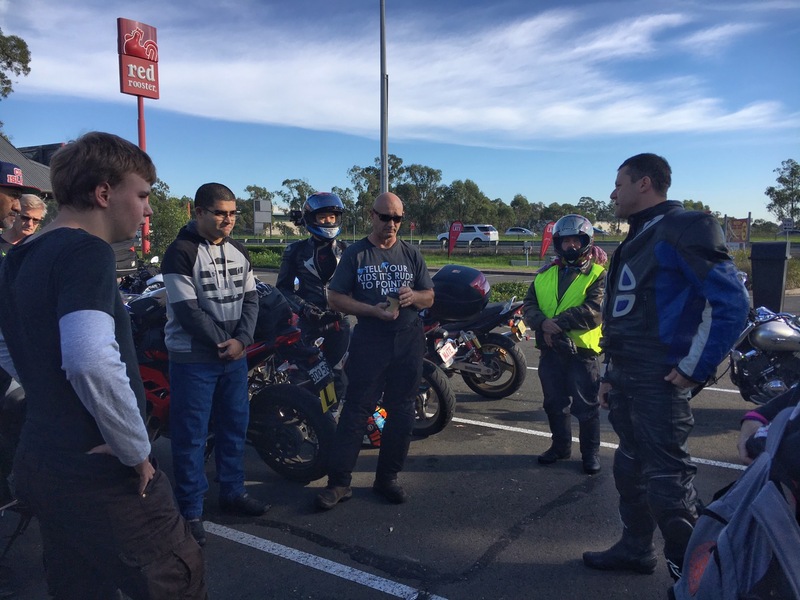 We met up with our riding group at a service station on the M4 on the outskirts of Sydney. 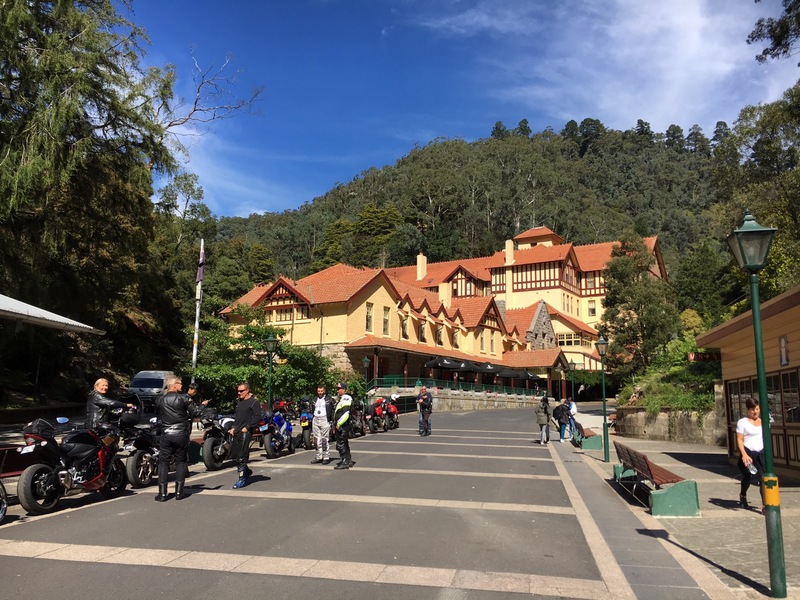 Simon, the ride organiser, laid out the day for us – the plan being to head towards Jenolan Caves then on to Hill End ‘by lunchtime’. After lunch, there was the option to hang around Hill End or enjoy some of the local roads and loop back to Hill End late afternoon. And so all 17 of us set off. We filed out of the service station and headed west; up onto the mountain range, through Katoomba and down the other side. The roads so far were easy, busy and peppered with traffic lights, a means to an end, taking us over the mountains and into the farming area beyond. We turned off the Great Western Highway, just after descending into the valley, onto the aptly named Jenolan Caves Road. We’ve been down this road before, it has glorious sweeping bends with great visibility and is reasonably quiet, but today there were road works and stacks of traffic so not quite so amazing; although the promise of a better road surface to come is exciting for the next time we travel this road. 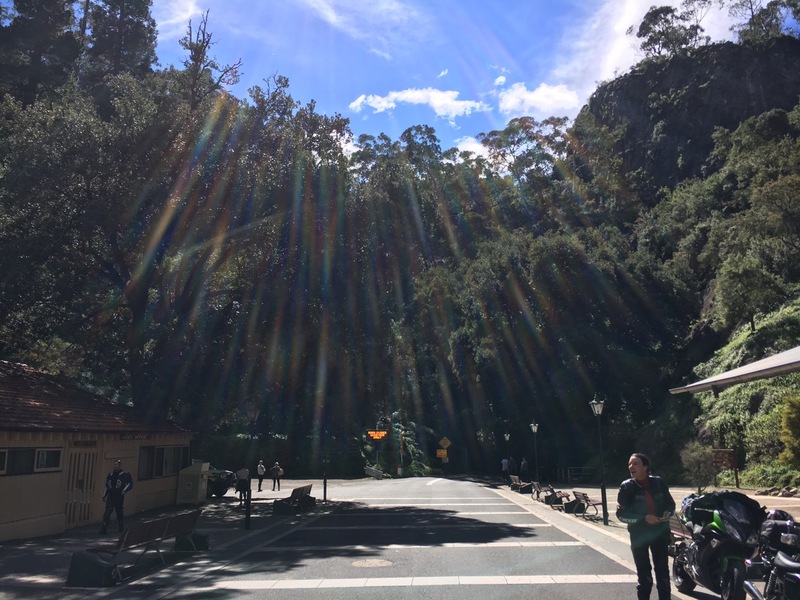 The traffic thinned over the 40km or so of the Jenolan Caves Road. We went straight on at the Oberon turning, which bypasses the caves for southbound traffic. Signs soon greeted us, warning us of a steep decent and the road not being suitable for trucks and caravans. We’ve seen plenty of these signs but this was quite the adventure, tight turns and only wide enough for a single vehicle. Fortunately, we only met one or two cars as we wound our way down. Two hours twenty minutes after we left the M4, we arrived at Jenolan Caves, greeted by a hugh cave which we rode through to the visitor area beyond. We parked up and had a rest, a coffee and a well needed comfort break – I am pretty sure I have never rode Rita for so long before and I was actually quite surprised at how comfortable she was. After a 20 minute pause, it was back on the bikes and then the adventure really began. 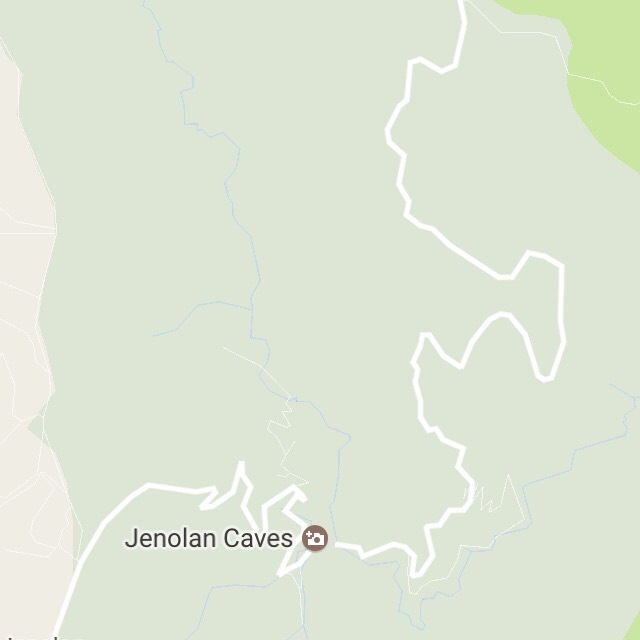 We took the only other road of Jenolan Caves towards Oberon, which I can only describe as ‘not for the novice rider’. The road was a steep climb with tight hairpins and extreme gradients. It seemed to go on forever and tested my slow riding skills to the max. Up and up it went until, eventually and thankfully, we all reached the top in one piece. Some loved it, others were glad it was over – I was probably more on the glad side but will definitely do it again sometime, preferably when they close the road to oncoming traffic, which I believe they do at some time during the day. Research required. Our next stop was Oberon. For lunch. It was midday so the plan to arrive at Hill End by lunchtime was starting to look, er, “ambitious”. I had suspected all along that Simon had not checked his ride-times so wasn’t too surprised but Oberon is a nice town and the weather was glorious. Lunch from the bakery eaten on the grass across the road in the sun was perfect. And fuel, we all took on some of that. After Oberon, we continued on to Kelso, and then onto the Sofala road. I’ve written about this road before, something along the lines of: ‘glorious surface and amazing race track like road’. It was a stunning ride in perfect weather – sunny and dry but not too hot. One small downer were the enormous dead kangaroos 😔 along the roadside. It was only later that I found out the Simon, as a conscientious ride leader, had actually stopped and moved a couple of the dead critters off the road. Thanks to him those of us at the back of the group weren’t greeted with any nasty surprises in the middle of the road. Sofala to Hill End was our final leg. A road with wonderful views across nearby valleys, and probably in the best condition than we have ever seen it – pot holes had been neatly filled in and small stretches of road had been resurfaced. We arrived around 3, lunchtime in Perth maybe but we all forgave Simon for his miscalculation of the timings as it had been a wonderful day. 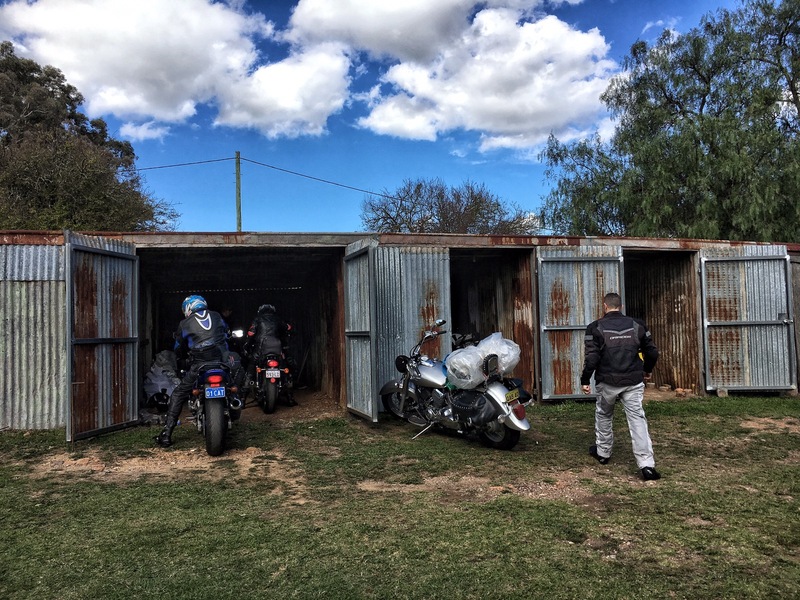 The motorbikes were all parked in the sheds at the back of our accommodation, the Royal Hotel at Hill End. Safe and sound from whatever or whoever might interfere with them. 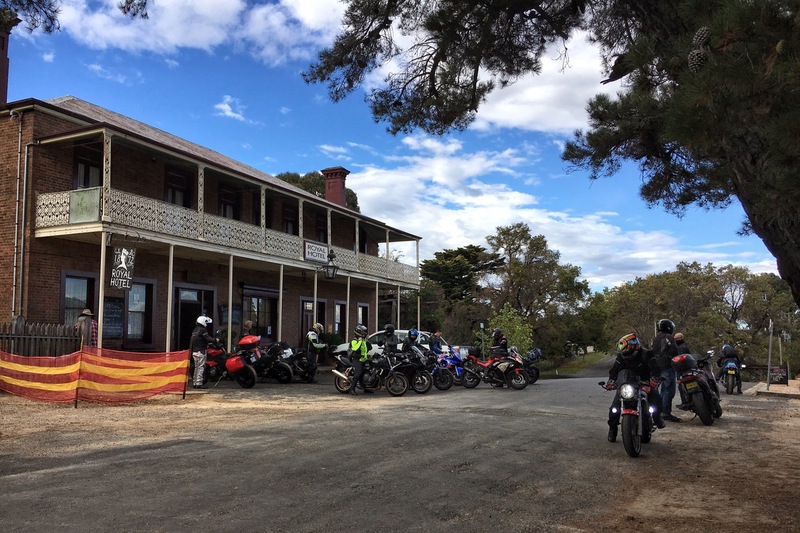 We all stayed in the historic Royal Hotel, built in 1872 and heritage listed. $60 per person including dinner and breakfast – rustic and basic but perfectly comfortable and generous food. It’s lovely to stay in accommodation with such history and character. 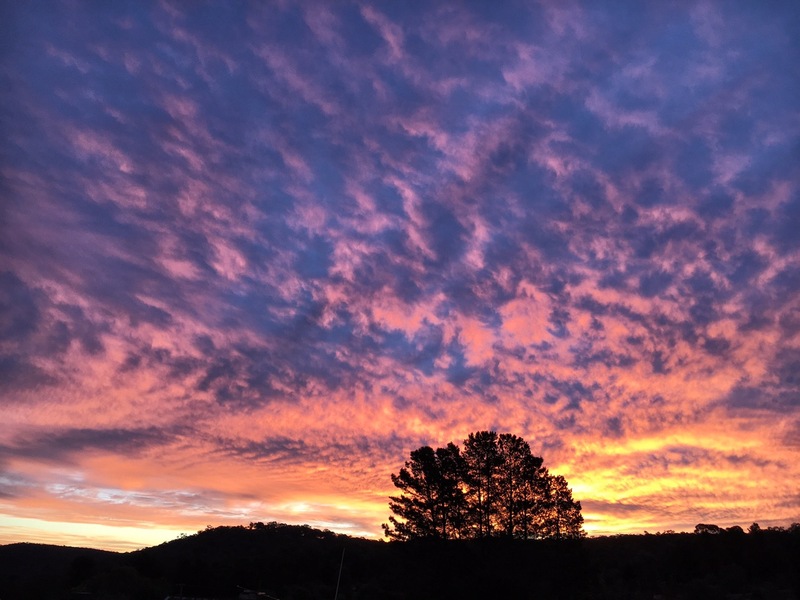 The view of the sunset from the front verandah was a highlight. After a comfortable night’s sleep, everyone retrieved their motorbikes from their home for the night and headed out for day two. Simon gave a quick ride briefing. Would you believe it, he thought we would be home in Sydney “by lunchtime”. We headed back towards Sofala, turning off at Wattle Flat towards Bathurst, mindful of the possibility of meeting a suicidal kangaroo as we enjoyed the curves with the minimum of traffic. And then, just on the crest of a hill, right in the middle of the road, was a wombat, fortunately, there was enough time to see and avoid it, unfortunately, someone before us hadn’t and it was lying there, dead. Poor thing. They are basically 50kg guinea pigs and people say hitting one in your car is like hitting a fridge. Glad it wasn’t me. Along some more fabulous roads, gradual bends, a couple of hair pins and some long, clear straight stretches. The views out to the west showed early signs of a thunderstorm out to our west and heading south east. 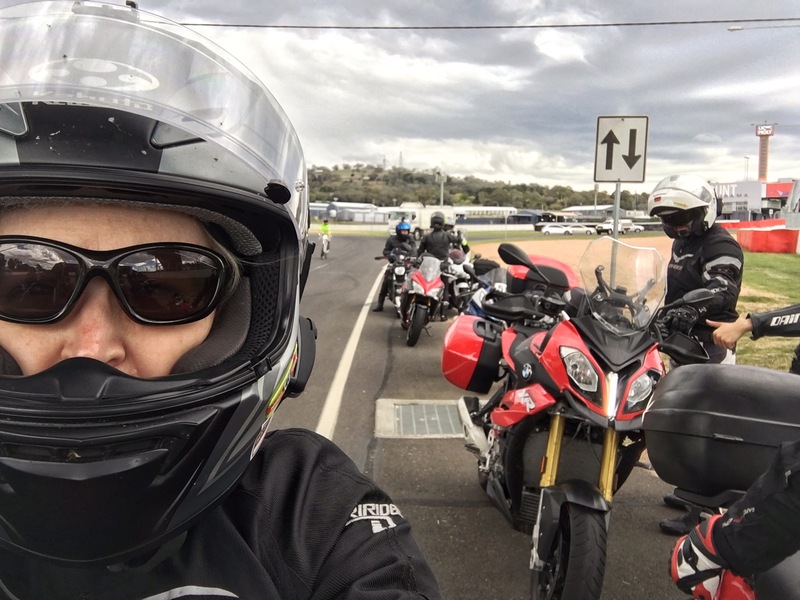 On arrival at Bathurst, we filled up with fuel, had a coffee and snack then headed towards Mount Panorama for a quick ride around the circuit – the weather was building so we didn’t hang around. 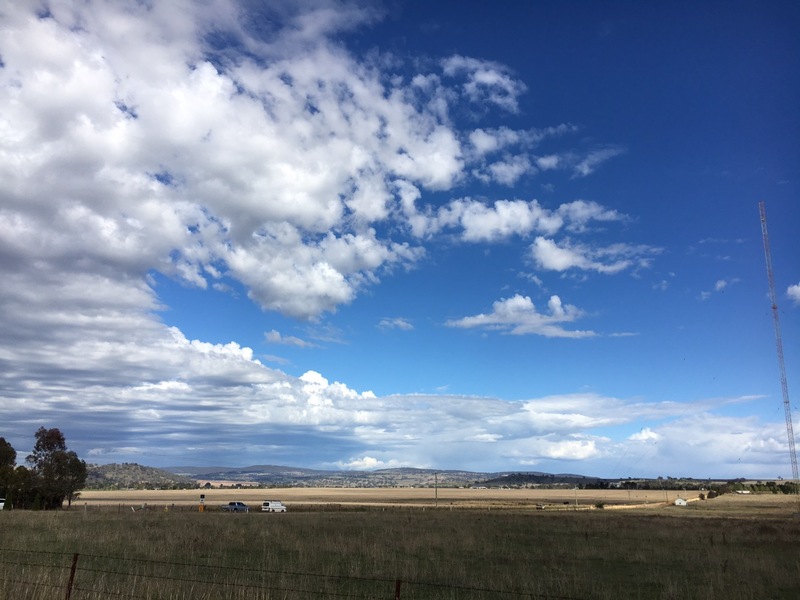 The next stretch of road was incredible – Bathurst to Tarana to Lithgow, this road had everything, long straights, narrow wooden bridges, tight corners, dips and not too much traffic. Everything Simon had promised in our morning briefing – he says it reminds him of the Isle of Man TT circuit and it did have a bit of that feel. We met plenty of motorbikes coming the other way. Gary and I have explored this area quite a bit but have never discovered this road – a real benefit of riding with others. In fact, Gary had lamented there being no alternative to the highway between Bathurst and Lithgow and now we been introduced to one. Thanks, Simon. 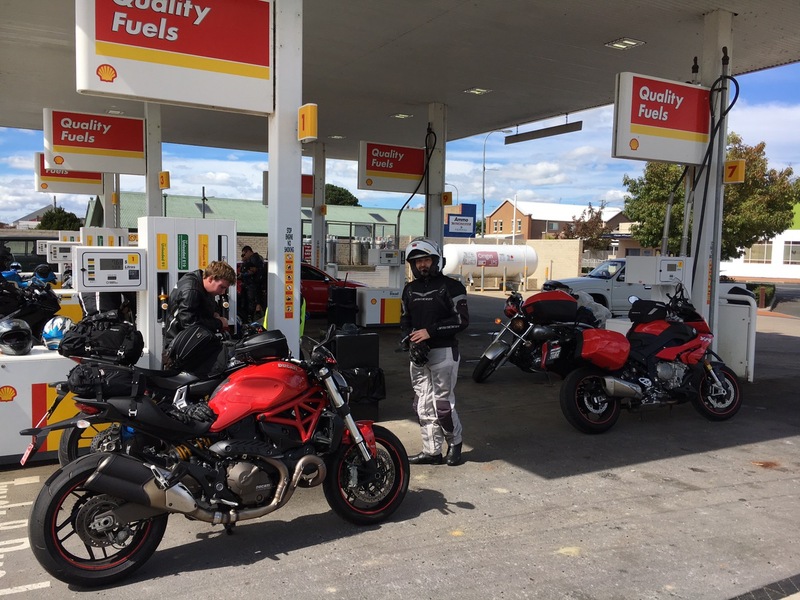 We reached Lithgow and said goodbye to a few of our group who were heading back to Wollongong and were keen to beat the weather. The final stretch was the Bells Line of Road – a lovely road we have ridden many times although it notably busier than previous times. Still, the climbing corners out of Lithgow are a lot of fun as are the tight bends as we descended towards Richmond. 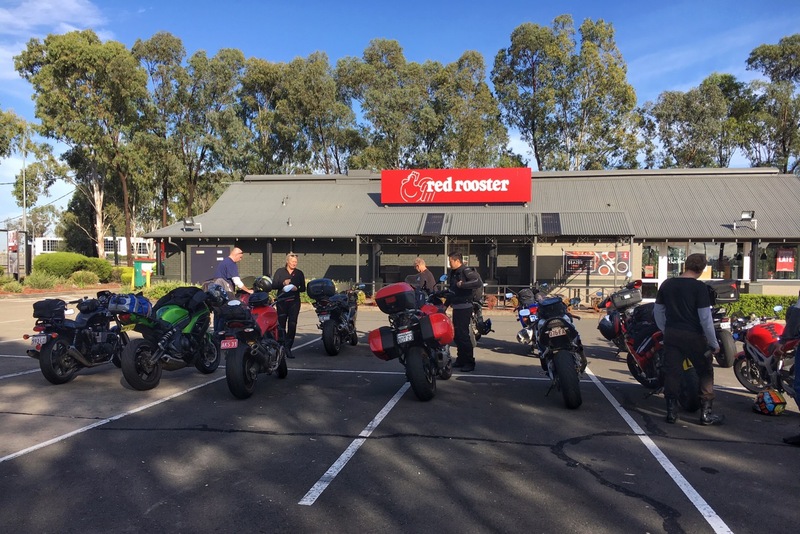 The fun over, we hit the M2 to home having had a fabulous weekend – our first group weekend ride was a great success, we’re looking forward to the next one, whenever that may be. Got home around 4pm. Starting to think Simon is from Perth and hasn’t set his watch to Eastern Standard Time. 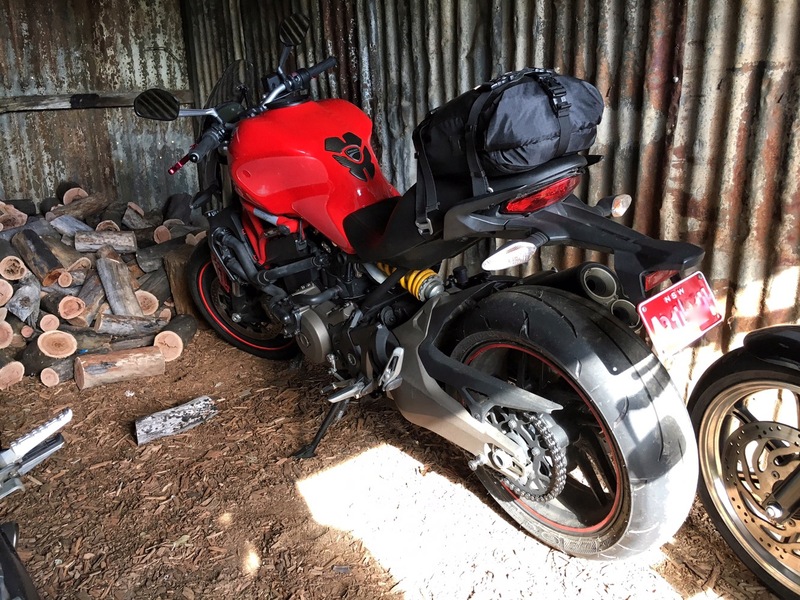 Now Rita needs a service – just shy of 15,000 km in a year is not a bad amount of riding at all. A fantastic weekend was had by all, great to meet you and Gary and looking forward to another group ride with SER. Fabulous to meet you too, and thanks again for the awesome video!